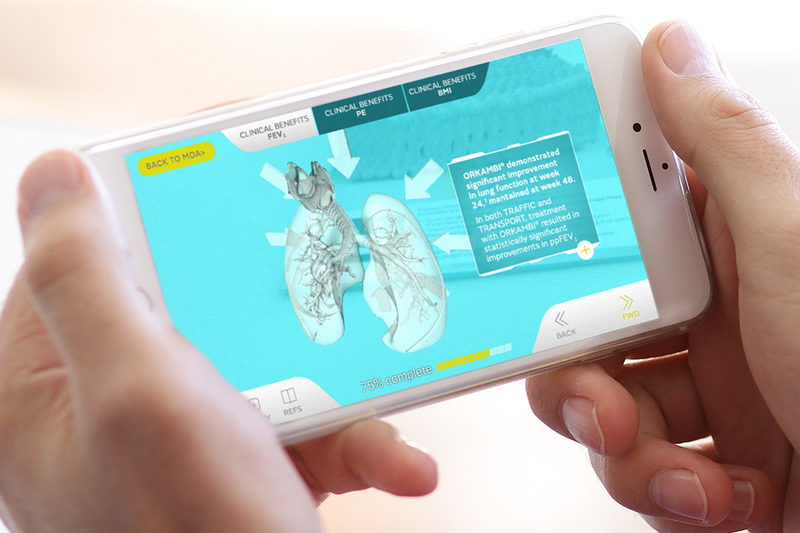 As the second phase of a two-part project, we were asked to showcase content that we had previously used to good effect in an app at a large congress aimed at Healthcare Professionals. 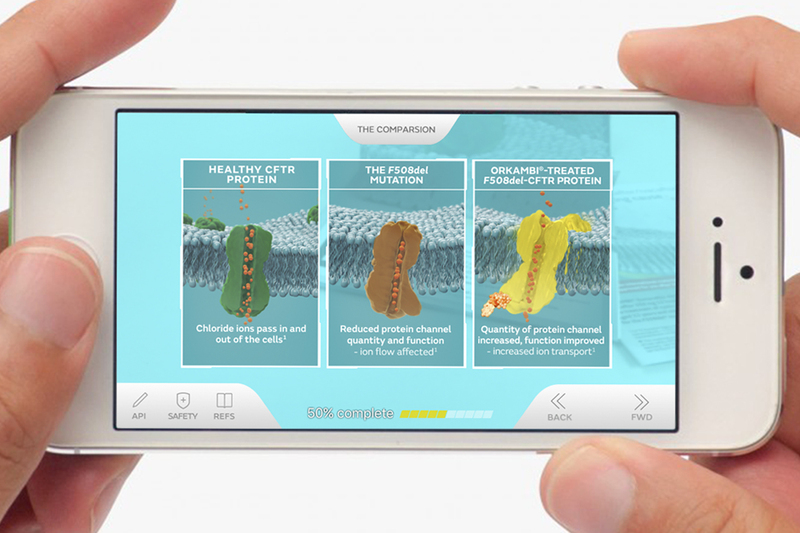 We needed to engage them with additional information on Vertex’s Orkambi treatment. We developed a mobile application for both iOS and Android devices that can be downloaded onto the user's device. The user would receive a brochure, which was given to them by a medical representative. 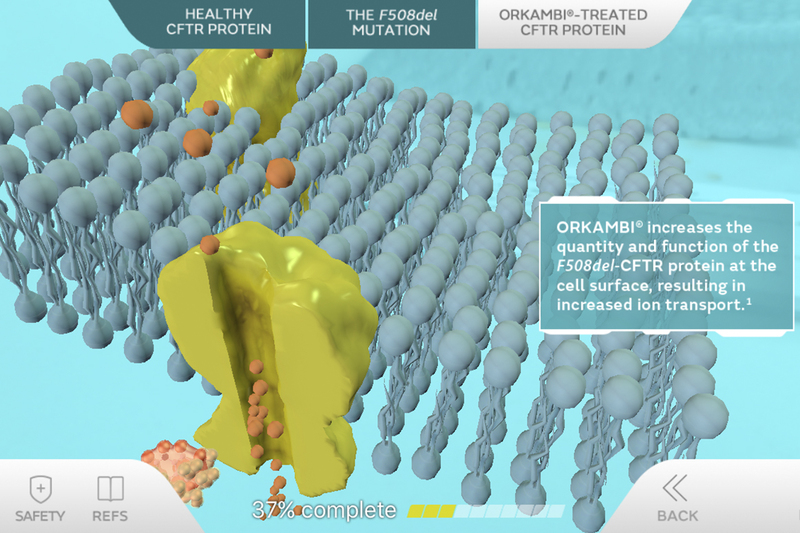 The brochure has been designed like a pop-up book that shows the cells and how the Orkambi treatment interacts with the cells. Once the application is downloaded the Augmented Reality experience immediately comes to life on their mobile phone, after it's triggered by the AR tracker. 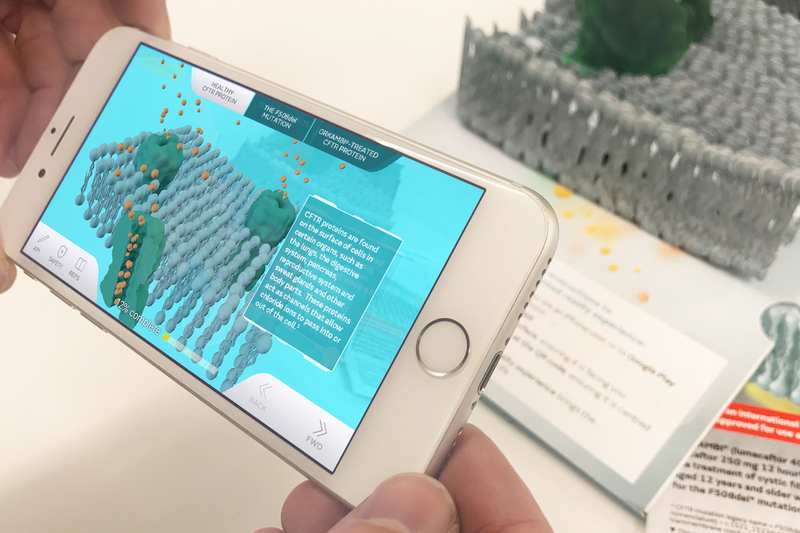 The AR experience is on top of the 3D paper model and explains the Orkambi treatment.